The Growmaster EPOS module is a fast and effective point of sale system which seamlessly integrates with the rest of your Growmaster package. It’s a single, joined up solution for growers, traders and retailers who want to combine class leading nursery stock management with quick and simple retail, Cash & Carry and trade sales. 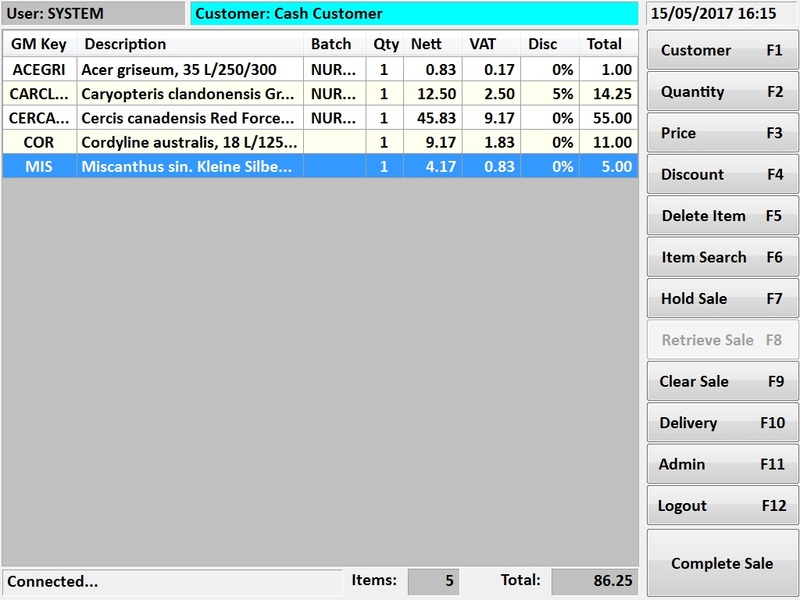 The Growmaster EPOS module interface is intuitive and easy to use. It has been designed specifically to facilitate the sale of nursery products on both a trade and retail basis, with all the key features you need to run your horticultural business. The Growmaster EPOS module will recognise supplier barcodes you have set up on the system, so you don’t have to re-barcode products you have purchased for onward sale. Our multibuy funtionality allows you to configure your own promotional product bundles, from a simple discount on multiple purchases of the same item to more complex promotional bundles across different product categories. 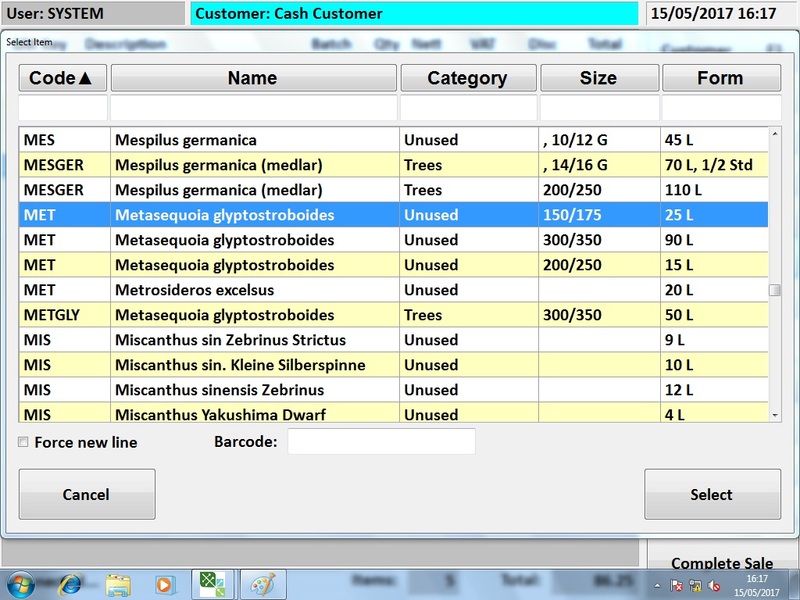 The Growmaster EPOS Module can allocate stock to a pre-defined location, so you can choose where you allocate an order. It will also recognise both batch barcodes and inventory item barcodes. · Standard handheld scanner or handheld scanner with keypad enabling quantity & discount to be entered on the device. Simple Interface with complex functionality.